Winter blooms seems to be a contradictory statement, but there’s a special genus of plants containing 20 species of evergreen and perennials plants that bloom in the winter. These plants are extremely beautiful and unique looking flowers and are perfect for a beautiful garden year round. Usually these blooms are fragrant, long lasting and attractive. Though these are generally easy to keep, there are a few different rules that you’ll need to follow in order to have a beautiful multi-seasonal garden that you can enjoy year round. First, you’ll want to choose where you will plant these winter blooms, also known as hellebores. The good news about these plants is that they aren’t picky when it comes to sunlight or shade. They will grow happily in the shade, but do need a lot of healthy soil to ensure they grow well. One of the best spots that you can plant these flowers is beneath a deciduous tree. When the trees shed their leaves, the flowers can get sun in the winter. But, another important aspect to keeping these flowers looking good is to position them somewhere that doesn’t receive a lot of wind. They need to be sheltered to protect their flowers and buds. You’ll need to place these plants somewhere with well-draining, nutrient soil. You’ll also need to be careful of fertilization because more of some materials will harm the plant more than help it. October is typically the best time to plant hellebores. However, one important note about these beautiful winter plants: most are poisonous plants. This means you’ll need to be cautious if you have children or pets, though most children and plants won’t be interested in munching on these types of plants. 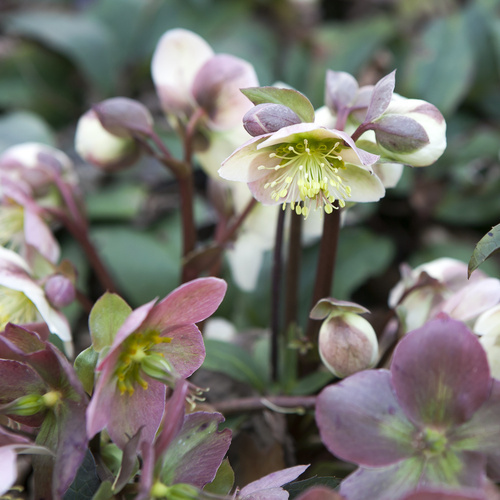 At TurfPride, Inc., we are big fans of planting the Helleborus orientalis, the Helleborus foetidus, and the Helleborus niger, all of which provide beautiful blooms throughout the winter. There are many different benefits of keeping your garden and lawn beautiful throughout the seasons, and one is simply to get you outside. Sunlight, being outside, and being active is just one of the benefits of a beautiful winter garden. 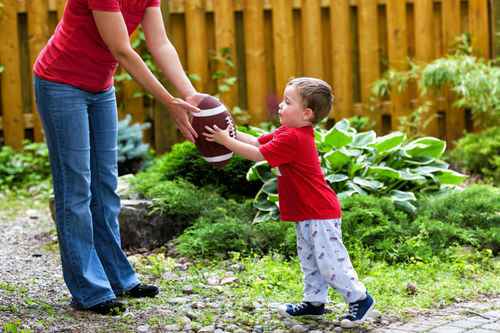 Another plus to keeping your lawn and garden kept throughout the seasons is that you are able to enjoy the outdoors with your friends and family, relax outside while admiring your blooming flowers in the morning, and enjoy your kids running across your lawn. We at TurfPride, Lawncare love helping you maintain your lawn and garden with our Signature lawncare programs in Atlanta, Georgia.